So, you just discovered you have a case of acute tendinitis. Now what? The condition comes comes on suddenly or within a few days, usually due to a tendon strain or overloading the tendon during exercise. The tissue in your Achilles tendon has become inflamed. An injury or specific event has happened in your past that caused a strain or tearing of the Achilles tendon - this is how you contract achilles tendonitis. When the fibers of a tendon are torn, they become inflamed and swollen causing pain and tenderness in the area which can also result in difficulty flexing the foot during regular movements, such as walking and jumping. Most commonly, this condition is seen in athletes who sit at a desk all week and then plays softball or tennis on the weekend. The aftereffect is tendon strain (mild tears) creates inflammation and pain and can lead to tendinitis. This condition could also be created if the tendon is strained from a sudden trauma such as a fall or misstep. Achilles tendinitis can occur at the insertion point of the tendon (referred to as insertional tendinitis) at the calcaneus (heel bone) or mid way up the Achilles tendon (referred to as non-insertional tendinitis). The most common area to be affected by acute tendinitis is approximately 1/3 of the way up the tendon, 2.5 inches from where it attaches to the heel bone. This part of the Achilles tendon is at most risk of tendinitis and other tendon injuries because it receives less blood flow than other parts of the tendon. Pain that occurs abruptly following a tendon strain, usually part way up the Achilles tendon. Sharp pain at the beginning of activity that decreases in intensity as exercise progresses. Pain that returns after exercise or after long periods of inactivity. Pain may subside when the Achilles tendon is allowed to rest. Pain becomes most significant when pushing off or jumping. Stiffness in your Achilles tendon when you wake up in the morning. Tender and warm to the touch. The Achilles tendon is irritated by heat but feels good when treated with cold compression and rest. If you feel a sharp pain, as though you've been hit in the back of the ankle, and hear a "pop" sound, your Achilles tendon has likely ruptured. A ruptured (completely torn) Achilles tendon can occur when the Achilles tendon is overstressed to the point of tearing. It will be very difficult for you to walk or move your ankle if this is the case. Improper stretching before and after running and jumping exercises. Changes in foot wear (i.e. high heels, poor running shoes). An inflexible Achilles tendon (i.e. tendon with scar tissue from previous injury or wear and tear). An increase in training, training on uneven terrain or a change in terrain (i.e. hills). Weak or inflexible calf muscles (gastrocnemius or soleus muscles). Achilles tendinitis is one of those injuries that can really bring down the quality of your life. Anyone - young or old - can suffer from this injury, and if you're active this condition will keep you from doing the things you love to do. It will even start interrupting any of your normal daily tasks and make living life harder than it really needs to be. How Do You Treat Achilles Tendinitis? Your doctor will prescribe a series of conservative treatment protocols for you to follow. In most cases, a conservative treatment protocol will be enough to heal the injury, though in cases such as significant tearing or a fully ruptured tendon, you will most probably require surgery. It is generally understood by doctors and surgeons, that surgery will introduce more scar tissue into the any already damaged tissue. This added scar tissue will be problematic, requiring more physical therapy and conservative treatment options post-surgery. If not dealt with properly, your Achilles tendon injury could end up in worse condition than before the surgery! This is why surgery is only performed as a last resort. Rest - This is important for initial recovery for both Midpoint and Insertional Achilles Tendonitis. This can be difficult when you have to carry on with daily activities, but resting and elevating your foot whenever you can is recommended. During your recovery you will probably have to modify or avoid the activities that put stress on your Achilles tendon until your pain and inflammation settles. Too much rest can also be harmful to achilles injuries because ankle joint immobility can actually cause stiffening in the joint. This is why rest should be used when reducing initial pain and swelling, but should not be considered for more long-term conservative treatment. Avoid Activities that Caused Your Injury - While resting your injury it's also important to avoid all activities that may have caused your tissue damage (especially any repetitive movement). Continuing on with regular activities will not only make your injury worse. Use Deep Tissue Regeneration Therapy (DTR Therapy) - You can use your own blood flow to maximize your rehabilitation, maintain healthy blood flow to your achilles and heel, decrease recovery time, and boost the body's healing rate. Promoting blood flow to your achilles will help to minimize the growth of scar tissue, increase flexibility and help prevent atrophy. Stretching - Stretching your ankle in physical therapy and at home will help you to regain your range of motion much faster than not stretching at all. Stretching in many ways is key to maintaining good Range of Motion (ROM) in the ankle, and stretching can be made much easier with use of a TShellz Wrap before to warm up soft tissue, and a Cold Compress or Ice Pack treatment after to prevent any return of swelling and inflammation. Stage 1: If the injury is very recent (acute) - use a good quality cold pack and Arnica Pain Relief Cream. If the injury has been going on for awhile, then skip to Stage 2 below. 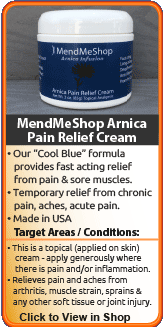 If you are experiencing pain and swelling in the very early stages of the injury (first 48 to 72 hours), the first step in a conservative treatment protocol would be to focus on reducing the discomfort by applying a quality cold pack to the injured achilles along with a high quality pain relief cream such as our Arnica Infusion Cream. after any activity that stresses the achilles in a moderate way. It is wise to quickly apply cold therapy to not only reduce the pain, but to also minimize tissue damage that may have occurred during the prior event. If you have a job that requires you to place some demands on your injured achilles/ankle. If that is the case, use cold therapy immediately following work and if the opportunity allows - use it for 15 to 20 minutes during lunch or another break time. Even though the concept is simple, improving blood flow to injured tissues can be difficult. When the injury is ankle related, the challenges are even greater. Traditional methods require your muscle to move to promote blood flow (exercise), but that same motion that promotes blood flow can at times lead to making your pain and condition worse. Have you reinjured your achilles by returning to work too quickly? How many times in the past have you aggravated your lower leg just trying to perform basic tasks around the home? 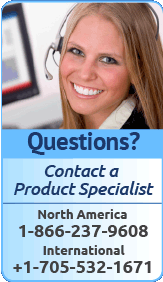 Is your debilitated heel/achilles preventing you from work or activities you love to do? The real challenge is how do you promote blood flow to the tendon without causing further injury? This goal is further complicated by the fact the achilles (and muscles controlling the ankle joint) are involved in the majority of the physical movements we perform each day. Electromagnetic energy is a form of energy will easily penetrate through clothing, skin, and fatty tissues... directly into your injured muscles and soft tissues within the achilles and ankle. 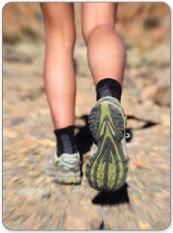 After the energy absorbs into the achilles, the metabolic response then kick starts the repair and rebuilding process. Research is continuing and soon, much of North America will know what the Far East and Europe has known for a long time; electromagnetic energy provides a wide range of health benefits for those not only suffering from achilles injuries, but for many other soft tissue ailments (plantar fasciitis, bursitis, tendinitis, Tenosynovitis, frozen shoulder, golfer's elbow, tennis elbow, hamstring strain etc.) as well. 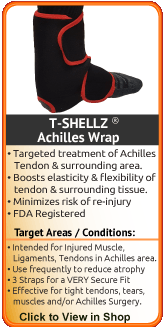 The best option we came across in our research to accomplish true healing of achilles injuries is the Achilles T•Shellz Wrap®. Use of this device results in a dramatic increase in blood flow to the injured tissues located deeper within the body - all in a non-invasive manner. Have you seen what happens when you add water to a flower wilted from drought? In essence, your injured achilles is much like a "wilted" flower; your body wants to heal its injury, but needs lots of nutrients to do it. Blood brings new life to your cells by delivering healing nutrients and oxygen that are vital to your tissue. In addition, the blood carries away toxins and cellular waste cleaning the area and healing it faster. Without a good supply of blood, your achilles simply won't heal properly. The Achilles T•Shellz Wrap® is based on the scientifically validated principle of Electromagnetic energy as we discussed previously. This form of treatment is safe and effective as shown in numerous studies which can be referenced through the National Library of Medicine. Professional athletes and those in the medical field have been users of the technology for decades - it really hasn't been until recently that companies like ours introduced the treatment devices to the home user. Electromagnetic energy from the T•Shellz Wrap® does not absorb into the skin - it absorbs directly into the damaged muscle and soft tissue (as a result, you will not feel the same level of heat on the skin versus a heating pad). The longer wavelength provides the electromagnetic energy wrap with the capability of penetrating deep into the body (well over two and a half inches). Using the T•Shellz Wrap® is truly a unique experience. Within moments of applying a treatment to your injured achilles, you can feel the sensation due to the increase in blood flow deep within the area. During a treatment, and for quite some time after you finish, the treated area will feel relaxed and warm. It's a very soothing sensation and extremely effective. This is especially important because the insertion point of the Achilles tendon receives very little blood flow to begin with. If you have injured your achilles, lower leg or other soft tissue in the back of your ankle, then you would find the Achilles T•Shellz Wrap® to be a great home treatment tool. If you are dealing with conditions affecting your range of motion such as impingement or even arthritis. If you have a chronic achilles condition that has lasted for years- this device will help start the rebuilding process and help strengthen the surrounding and supporting tissues. Many of our past clients had suffered for years, then were completely amazed at the results only after a few months of treatments. If you are still working with an injured achilles, the T•Shellz Wrap® will help relax injured soft tissue prior to work and after a day at the job. If you are suffering from bursitis and want to treat the major source of it (secondary damage to the muscle and tendon surrounding the bursa sac). Through overuse or degenerative changes in the lower leg, the muscle and tendons surrounding the bursa sacs will tighten and constrict. When they do, they place pressure on the bursa, causing it to become irritated. Applying a soothing and deep penetrating energy to the achilles relaxes soft tissue and takes pressure off the bursa. If you are experiencing atrophy in your lower leg and want to reduce the chance of re-injury - this is a perfect treatment to use on a regular basis. 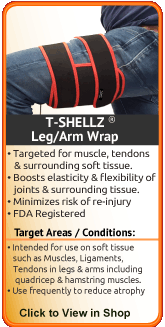 What Else Makes the Achilles T•Shellz Wrap® So Special? We can promise that you will receive a product that is designed to be safe and does what it is supposed to do... reduce pain (as stated in "Therapeutic Heat and Cold", 4th edition. - Ed. Justus F. Lehmann, M.D., Williams, and Wilkin) temporarily increase length & flexibility of soft tissue (as stated in "Therapeutic Heat and Cold", 4th edition. - Ed. Justus F. Lehmann, M.D., Williams, and Wilkin) and aid your body in recovering from tendon, muscle and other soft tissue injuries via enhanced blood flow. Before you know you will be using your injured joint (going to work, driving, running, walking, etc). Follow up your T•Shellz and Cold treatments with an application of Arnica Infusion. Combine the pain relieving benefits of Arnica Infusion along with the healing benefits of the wraps to make your recovery go much more smoothly. Since you are reading this, you probably know that serious achilles injuries do not just disappear. Over time, they usually wreak havoc on your knee and ankle due to lack of movement and over-compensation. It will also wreak havoc on your opposite achilles due to overcompensation. Recovery takes a longer time for such chronic (long term) injuries, but proper healing is essential to regain strength and get you back to the activities you enjoy. A Deep Tissue Therapeutic Achilles TShellz Wrap to increase Blood-flow to the injured ankle (Deep Tissue Therapy Therapy). An Exercise & Stretching Plan to prevent muscle atrophy and shortened tendons. A proper plan will increase elasticity and strengthen the muscles of the lower leg, ankle, knee, achilles and heel. Conservative treatment tools just like these have been used successfully by thousands of soft tissue injury sufferers - just like you. 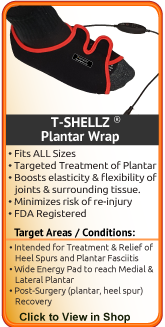 We believe the use of T•Shellz Wraps for effective treatment of soft tissue achilles injuries is one of the most under-utilized home treatment options available on the market today. We have thousands of customers that have tried many options out there and have been amazed at how effective and fast the TShellz Wrap treatment can heal soft tissue injuries. Not only does the incorporation of conservative treatments (such as the use of a Cold Compress or Ice Pack and the Achilles T•Shellz Wrap®) accelerate the healing process, but it helps to prevent long term complications. Pain, lack of mobility, tendinosis, or a complete tendon rupture are some of the more common long term complications that can occur when achilles tendinitis, tendon tears, and other injuries go untreated. By treating your achilles with these treatments, scar tissue becomes softer and the tendons, ligaments and other soft tissue become stronger reducing the risk of chronic problems in the future. During the healing process and especially in surgery, scar tissue can build on injured soft tissue. This scar tissue can cause tendons, muscles, and bursa to thicken, increasing the chance of impingements. In addition, scar tissue can bind the tendons, muscles and ligaments together limiting the movement of these tendons and ligaments that were once elastic and allowed the ankle its large range of motion. As a result, movement of the entire joint is limited making it difficult to walk without a limp or do basic tasks such as climb stairs. If left untreated, the ankle may 'freeze' further, making movement even more problematic. At the very least, scar tissue leaves your tendon weaker than a healthy tendon, leaving your achilles at greater risk of further deterioration and possible tearing. Once the inflammation of your achilles injury has been reduced, nourishing and strengthening the tendon tissue and surrounding area is recommended. 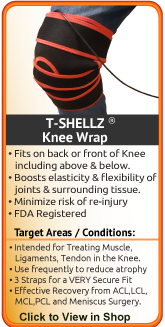 Using the T•Shellz Wrap® will speed your recovery and assist your own blody in healing your achilles more completely, preparing it for strengthening exercises. Talk to your doctor or physical therapist to find out which exercises are appropriate for your situation and if the T•Shellz Wrap® is right for you. Improved blood flow gained via use of the Achilles T•Shellz Wrap® whisks away dead cells and toxins that have built up from the injury. When you stop moving your ankle due to achilles pain, your muscles and other tissue can become weaker and dead cells and toxins in the area can cause further tissue deterioration - this can lead to atrophy (tightening, shortened calf muscles, for example). By clearing the area of toxins and increasing the amount of oxygen and nutrients to your muscle and other tissue, the risk of atrophy (muscle weakness and/or deterioration) is greatly reduced. Keeping your lower leg and ankle as healthy as possible throughout the healing process will allow you to improve strength again once your pain has gone and your injury has healed. During your recovery, you may have to modify and/or eliminate any activities that cause pain or discomfort in your lower leg until your pain and inflammation settle, and you gain more mobility and strength. The more diligent you are with your treatment and rehabilitation, the faster you will see successful results! Physical therapy is a beneficial way to help decrease pain in the soft tissues, restore atrophied muscles and improve ankle strength and mobility. The type of physical therapy and the duration will be dependent on your injury. Once your pain starts to diminish, a physiotherapist can set up an individualized achilles strengthening and stretching exercise program for you to perform at home or in the gym. This will be based on your needs and abilities, and will help you return to performing your normal routines. Individuals will often try stretching and leg workouts on their own, to try and build up their strength. However, in doing so, they can do more damage to their achilles. It is extremely important to strengthen your muscles properly, as they may have weakened during the period of non-use. A trained therapist will help to ensure your rehabilitation process is effective. For fast and effective results, use a Cold Compress or Ice Pack and an Achilles T•Shellz Wrap® in conjunction with physical therapy and an exercise program. NSAIDs (Non-steroidal anti-inflammatory drugs) can be used if required to help manage your pain and inflammation. However, these aren't recommended for long term use, as they can cause gastrointestinal difficulties. Some health professionals have also recommended natural supplements such as glucosamine, MSM or hyaluronic acid to help strengthen the injured tissue. The use of a Cold Compress or Ice Pack can greatly reduce, if not eliminate, the need for NSAIDs. Cold therapy is a natural, less harmful way to reduce your pain and inflammation. If pain and inflammation persist, you can see your physician to investigate cortisone/steroid injections or topical medications, which may help reduce swelling and inflammation. Cortisone/steroid injections can deteriorate tissue if used frequently and recent studies have shown that cortisone injections can cause more negative harm than good. At times it is quite helpful though, and your physician will determine whether a steroid injection is worthwhile on a case-by-case basis. Doctors and Surgeons are always improving the techniques used in surgery, and results from surgery now are much more positive than they were in the past. However, all surgeries introduce scar tissue, and recovery from surgery is better than ever but often disappointing when it comes to full recovery expectations. Ongoing treatments to enhance circulation will soothe, relax and promote healing of your damaged lower leg muscles and tendons. Achilles T•Shellz treatments will also allow your soft tissue to extend further due to the deep warming sensation created by the enhanced circulation to the treatment area. The more extensibile your tissues are, the less likely they are to strain or sprain. The Achilles T•Shellz Wrap® is a highly effective therapy tool for people suffering from soft tissue injuries in the lower leg and ankle - such as a tear in your muscle, tendon or other soft tissue, strain, Tendonitis, tendinopathy, tendinosis, impingements, instability, calf muscle spasms, bursitis, capsulitis, pain associated with trigger points, scar tissue, and arthritis. To really deal with a injury, you have to know the injury is - so get to the doctor and make sure you know what the issue is. People tell us all the time, "I was told that if I stay off my feet for a few weeks, my pain will disappear for good." The truth is, pain is usually a culmination of numerous factors, which include repetitive stress and overcompensation issues resulting from other muscle and soft tissue ailments. It may take weeks or months for these pain triggers to surface, but when they do, merely resting will not solve the underlying issues. You need to utilize options that actually treat the source of the pain and help reverse the damage that has been done. 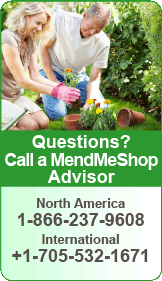 AidMyAchilles stands out in this regard as our goal is to help you heal for the longer-term. The bottom line is, you are welcome to try our products for a full 2 months. If you do not receive the benefits that others have experienced, simply return your purchase back to us and we will issue a prompt & full refund. There will be no hard feelings. 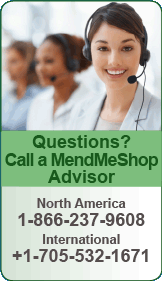 AidMyAchilles advisors do not work on commission, so be assured you will only receive fair and objective information. During your recovery, you will probably have to modify and/or eliminate any activities that cause pain or discomfort in your Achilles tendon until your pain and inflammation settle. With these easy therapies you will notice incredible improvement in your tendon. The more diligent you are with your treatment and rehabilitation, the faster you will see successful results!